Posted by twilightandreason in Higher Education. Note: The Black on Campus blog has now moved to blackoncampus.com. This is an excerpt. Read the entire post at Blackoncampus.com. A shout out to the Schools Matter blog for it’s June 4, 2008 post on Wake Forest University’s recent decision to abandon its SAT Requirement. Clearly, the SAT has outlived its reason for being in the first place, which was institutionalized ostensibly to create the basis for an objective measure from which to establish an intellectual meritocracy and to predict the success rates of incoming freshmen. With scores simply mirroring disparities in family income, and with women, who score lower than men, finishing college at a higher rate than their counterparts, the SAT has failed on both counts. I was poised to make this the first Wordless Wednesday on my blog. If you’re not familiar with this phenomenon, Wordless Wednesday is the day that some bloggers set aside to feature a particularly compelling photo that truly captures the mood of the moment. Because this blog is education-oriented, however, it’s been a little more difficult to find relevant current photos than I had anticipated, especially given that the mainstream news sites seem a bit less than inclined toward publishing photos and stories about Black people graduating from college (the story that I wished to commemorate in today’s images). Even more difficult was the task of locating pictures of the young man who I simply have to celebrate on this day. His name is Quinn Rallins, and he graduated from Morehouse College this past weekend. His story is compelling and inspiring, but while news outlets across the country have scrambled to cover the story of Joshua Packwood, his classmate and the first white student to be named as class valedictorian at the historically Black institution, only the Chicago Tribune has seen fit to cover the inspiring story of Quinn Rallins. I have moved the blog to it’s own server, but I am still true to my wordpress roots. The new blog is hosted independently, but runs the free blogging software package offered by wordpress.org. I hope you will click on THIS LINK and check out my new-and-improved blogsite. The old blog will stay up and I will probably make occasional updates here, as well; but for week to week and (sometimes) day to day updates on the Black Experience in Higher Education, check out BlackonCampus.com. Each May, Morehouse College, the historically Black all-men’s institution in Atlanta, honors as its valedictorian the graduating senior with the highest G.P.A. This year, for the first time in the school’s 141-year history, that student is white. Joshua Packwood, the valedictorian for the Morehouse College class of 2008, is reported to have turned down institutions like Columbia University and Stanford to attend the historically Black men’s college. A Rhodes Scholar with a 4.O G.P.A., Packwood took advantage of all of the opportunities that Morehouse had to offer. He did summer internships in New York with Morgan Stanley and Goldman Sachs, and he studied abroad in London and Costa Rica. Wendell Marsh, a junior English and French major who is black, said talking to Packwood as a high school senior helped make up his mind to come to Morehouse. Packwood raised “the bar for everyone,” said Stanton Fears, a senior economics major. Hawking, 66, understands that academic performance is, in the end, more closely tied to opportunity than to some sort of genetic predestination; and this was evidenced in his statement that he would be “delighted” if his visit, as part of the African Institute for the Mathematical Sciences science talent search (“for the next Einstein”), opened up greater opportunities for young people on the continent to enter math and science fields. 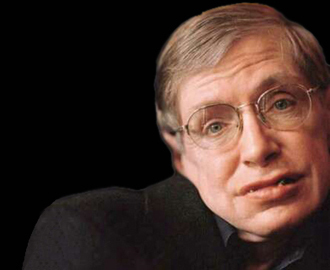 You can read more about Stephen Hawkings on his African trip at THIS link. In Feburary a report on Black graduate students in the Journal of Blacks in Higher Education moved me to blog on the clustering of Black graduate students in the fields of Education and Business. You can read that blog post HERE. This issue made the news again just last week when the Baltimore Times published “Fewer Blacks Earning Degrees,” an analysis of the current state of African Americans and doctoral education, written by education advocate Jayne Matthews. Click on the highlighted title to read this article in its entirety. Arthur Levine, president of the Teachers College at Columbia University, has proposed that Ed.D. degrees be abolished and be replaced with a master’s degree in educational administration. He believes that people who aspire to be school superintendents or college administrators are wasting their time doing a research dissertation on a topic that will have little or no bearing on the job that they plan to hold. Should the Levine view prevail, the black percentage of all doctoral awards would fall dramatically. If we eliminate educational doctorates from the 2006 statistics, we find that blacks earned only 4.8 percent of all doctorates in fields other than education. While the sharp downward shift in black percentage of doctoral awards would be troubling on many levels, it would not have much of an effect on the real-life experiences of Black faculty and students on college and university campuses, where the clustering of Black doctoral degree holders in primary and secondary school administrative posts has had little or no direct impact on the number of Black instructors that undergraduate and graduate students encounter in their college classrooms. It is possible to argue that there should already have been an M.Ed. oriented specifically toward to aspiring administrators, possibly along the lines of an M.B.A., but for education professionals rather than business professional. Then, as is the case in the field of business, the doctorate in education would be a Ph.D., oriented specifically toward those who have an interest in college-level teaching and research. As a Black academic I have to wonder, though, whether or not the popularity of the Ed.D. among African Americans has anything to do with some institutions’ willingness to consider doing away with it. This very question may seem fraught with racial paranoia; but given the history of Black people in the academy, to ignore such a possibilty would be foolish. 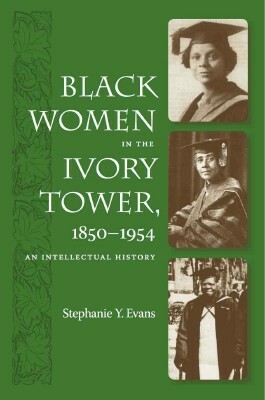 Black Women in the Ivory Tower, 1850 – 1954: An Intellectual History by Stephanie Y. Evans, Ph.D.
Stephanie Evans is Assistant Professor of African American Studies and Women’s Studies at the University of Florida, Gainesville. She holds a B.A. in Comparative Humanities (gender and cross-cultural American studies) from California State University, Long Beach. She holds an M.A. and a Ph.D. in African American Studies from the University of Massachusetts at Amherst. *With very few exceptions, in all races, at all levels, women are either on par or slightly above men in college enrollment and degrees earned. However, the disparity between the numbers of collegiate black women and men, however, is drastic. *Tracking black men into prison and away from college shows that black men experience different barriers because of the relationship of gender to their race. *Although black women dominate black men in the student ranks, black women’s faculty numbers are consistently lower than black men’s. Black women’s college enrollment has been higher than black men’s since the early 20th century, but by 1995, black men had earned 30,000 Ph.D.’s compared to black women’s 20,000. Moreover, this trend of black women holding fewer academic positions, while being relegated to junior ranks, and receiving tenure in lower numbers, is unyielding. *Ultimately, it is unproductive to say that either black men or black women have it worse — there are definitely gendered aspects of race, both of which need to be addressed. To say that the issue of black men in prison or in college is more or less important than black women’s faculty positions or domestic violence is to fall into the divide-and-conquer trap. We must work to improve all areas. The series continues with this brief report on the U.S. 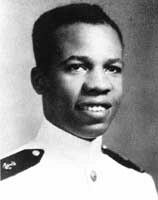 Naval Academy and its upcoming dedication of the new Wesley Brown Field House, named for its first African American graduate. Brown said he was taken aback several years agowhen someone from the academy called to say officials planned to name an athletic complex after him. Brown said he initially thought the caller was a prankster or a telemarketer. Two months later, he suffered a heart attack at his home, and doctors told his wife that he would likely die before morning. Their four children flew in from other parts of the country to be at his side. Brown said he is simply thankful to be alive for Saturday’s ceremony. He has spent recent weeks finalizing the guest list, which has grown to 70 family members and more than 300 friends. The facility includes track and field areas, such as sand pits for broad jumps, that can be covered by a retractable artificial turf football field. When being put in place or retracted, the 76,000-square-foot, 100,000-pound carpet floats on a bed of forced air created by fans hidden in the floor. The goal is to reduce friction and make the turf last longer, said retired Cmdr. Tom McKavitt, an associate athletic director at the academy. Cmdr. McKavitt said the facility will house the men and women’s cross country and track teams, the women’s lacrosse team and the sprint football team, as well as supporting 16 club sports. “The facility will contribute to the overall physical mission at the Naval Academy,” he said. Cmdr. McKavitt said the building’s wall overlooking the Santee Basin is designed to serve as dike in case of severe flooding. The wall is mostly blast-resistant glass and is designed to reduce the need for artificial lighting. It is tinted toward the top to make the building easier to cool, according to Lt. Bob Kendall, the project supervisor. The building has its own storm water management system that includes channeling run-off into flower beds, he said. Rev. 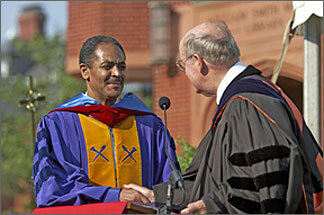 Brian K. Blount (left) during his inauguration as the president of Union Theological Seminary. The series begins with this brief report on Union Theological Seminary and its installation of Rev. Brian K. Blount as the first ever Black person to lead the institution. 5/07/09 — Rev. Brian K. Blount was inaugurated as the first African American president of Union Theological Seminary & Presbyterian School of Christian Education. As the first Black president in its 196-year history, Rev. Blount also became the first African American “to head a seminary of the Presbyterian Church (USA).” Rev. 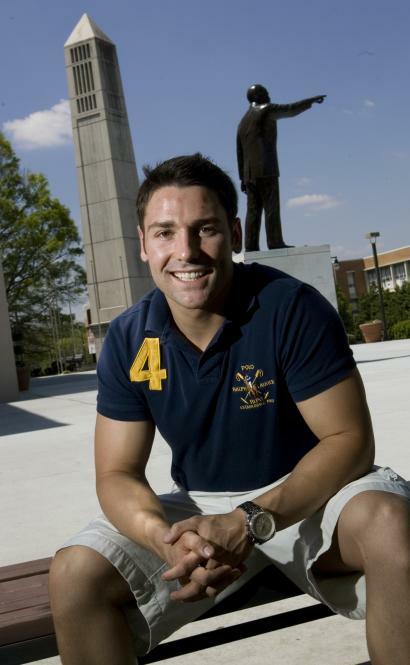 Blount holds was educated at the College of William and Mary (B.A. ), Princeton Theological Seminary (M.Div. ), and Emory University (Ph.D). 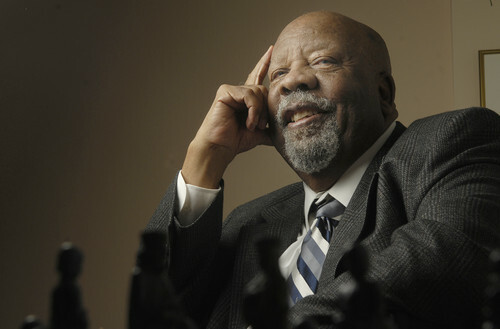 He has authored and co-authored several books, including: Making Room At The Table: An Invitation to Multicultural Worship, edited with Lenora Tubbs Tisdale (D.Min.’79), Westminster John Knox Press, 2000; Cultural Interpretation: Reorienting New Testament Criticism, Fortress Press, 1995; Then The Whisper Put On Flesh: New Testament Ethics in An African American Context, Abingdon Press, 2001; Can I Get A Witness? Reading Revelation Through African-American Culture, Westminster John Knox Press, 2005; True to Our Native Land: An African American New Testament Commentary, general editor, Fortress Press, 2007; and several others.